Specifically manufactured for the aftermarket refinish industry to resist paint solvents, urethanes, base coats and clear coat painting systems. Conformable with excellent bleed-thru protection. 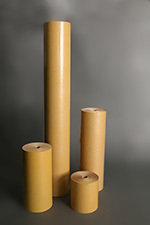 Tightly bonded paper for no lint and fiber contamination. With poly-coating on the outside, there is no chance of linting. The poly-coating provides maximum hold out for no bleed through protection. Superior Grade POLYCOAT Masking. Ultimate Penetration Resistance. 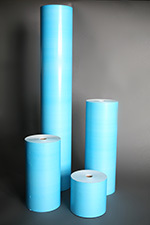 Blue poly-coated masking consisting of a 28# basis recycled newsprint with 6 to 7 pounds of poly applied. 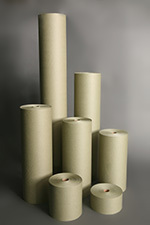 Sold in 700′ rolls (most common) or Custom Footages Available. 3, 6, 9, 12, 18, 24, and 36-inch widths available. Corona treated for superior paint adhesion. With poly-coating on the outside, there is no chance of linting. Excellent tear resistance and corners easily. Stronger and more affordable than U.S. Chemical Poly-Blue. Price competitive to regular green masking comparable per foot. Green poly-coated masking consisting of a 25# basis craft sheet with 5 lbs of poly applied. 500′ and 700′ rolls are most common footages. Corona treated for superior paint adhesion. With poly-coating on the outside, there is no chance of linting. Excellent tear resistance and corners easily. Guaranteed no bleed through. Stronger and more affordable than U.S. Chemical Poly-Blue. PRIVATE LABEL AT NO ADDITIONAL CHARGE. 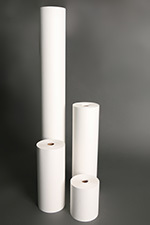 PPC guarantees our green masking will outperform any general “MG” or “MF” paper on the market today. 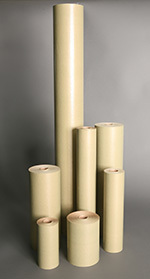 We do not sell “cheap” green standard masking paper. Our green paper is a “cut above” the competition. 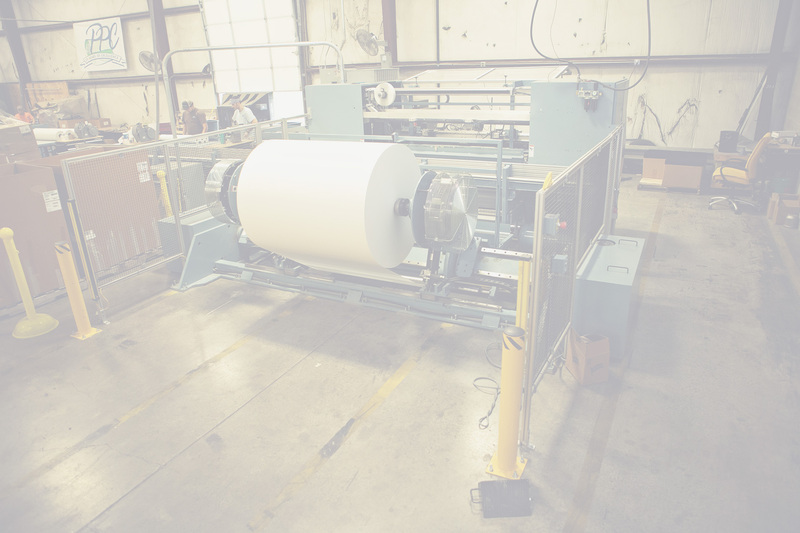 PPC converts all paper with shear cut equipment. Along with dust and trim removal systems, this helps eliminate fibers and dust during the cutting process. White, #24 basis, treated masking paper. Most common footage is 750' - We can customize footage to fit your needs!